Klismos Coffee Table. Modern coffee table. High end coffee table. 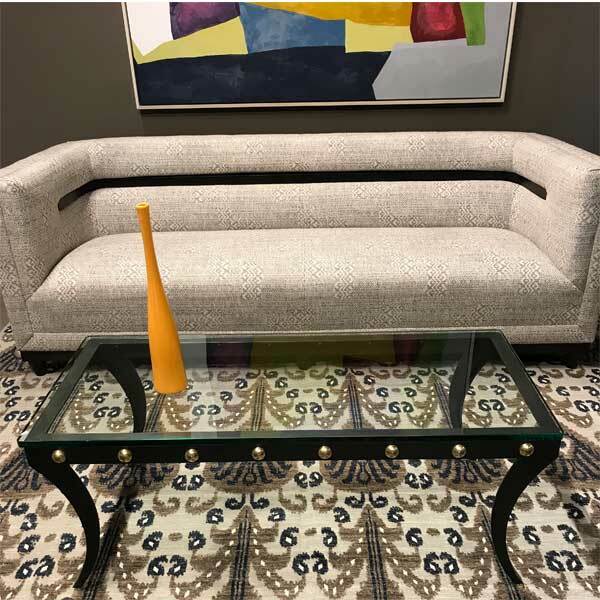 Design inspiration for the Klismos Coffee Table came from ancient Greek furnishings, specifically the klismos, an elegant Greek chair with curved legs. Even though almost no furniture from ancient Greece has survived the centuries, Greek artwork such as pottery decoration and architectural friezes depict daily life in Greek homes of the time. This has given us an accurate idea of early Greek furniture design. Chairs in ancient Greece had hard stiff backs and arms. Even the people depicted in paintings and friezes sitting in this type of chair look like they are uncomfortable. The klismos was an entirely new type of chair designed by the Greeks. It’s design was smooth and ﬂowing. This unique chair was made with delicately curved back and legs and was used principally by women. Legs of our coffee table are based on legs of the ancient klismos. 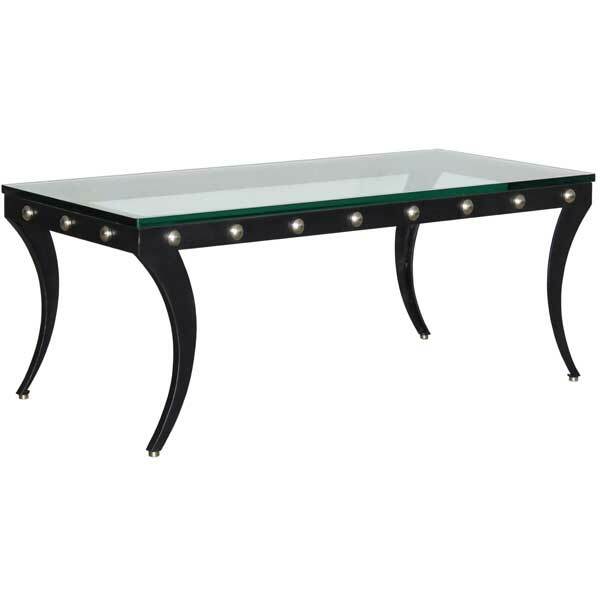 Robust metal construction of the table base ensures sturdiness, even under heavy loads. It is offered in a variety of finishes. 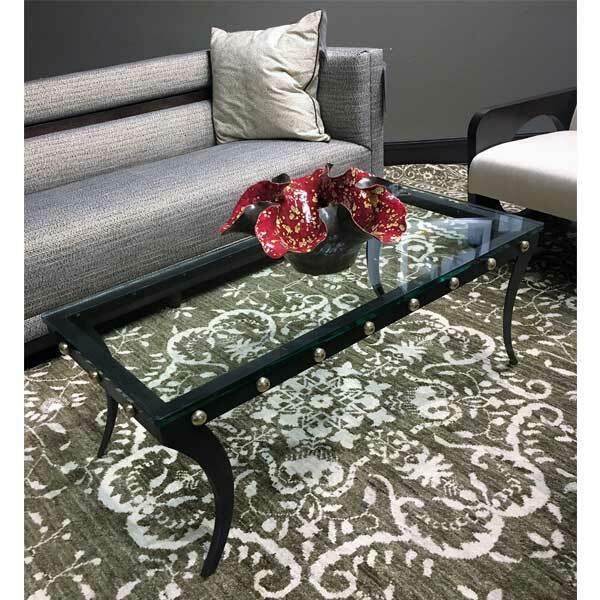 The polished bronze rivet-head detail on the top frame adds a charming accent to an otherwise simple design. Custom sizing is available. The Klismos Coffee Table was designed by Shah Gilani, ASFD.